This photo was viewed 6 times and was downloaded in full size 2 times. 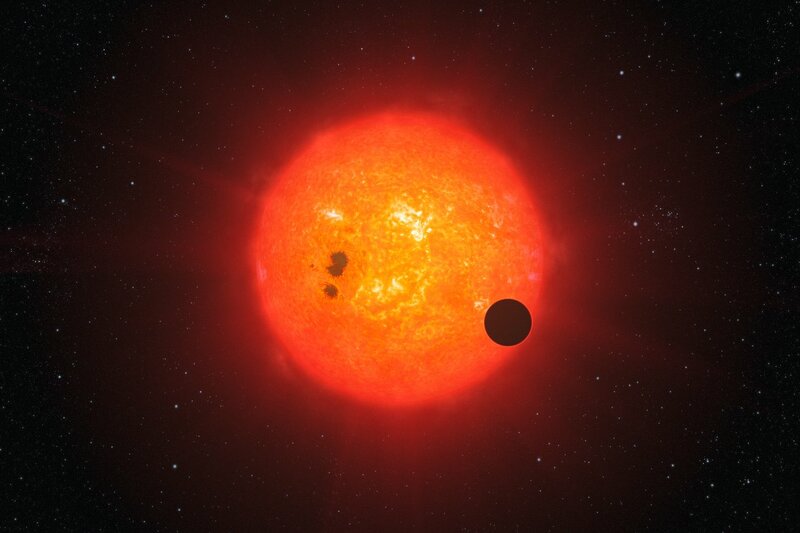 English: This artist’s impression shows how the newly discovered super-Earth surrounding the nearby star GJ1214 may look. Discovered by the MEarth project and investigated further by the HARPS spectrograph on ESO’s 3.6-metre telescope at La Silla, GJ1214b is the second super-Earth exoplanet for which astronomers have determined the mass and radius, giving vital clues about its structure. It is also the first super-Earth around which an atmosphere has been found. The exoplanet, orbiting a small star only 40 light-years away from us, thus opens dramatic new perspectives in the quest for habitable worlds. The planet, GJ1214b, has a mass about six times that of Earth and its interior is likely mostly made of water ice. It appears to be rather hot and surrounded by a thick atmosphere, which makes it inhospitable for life as we know it on Earth.